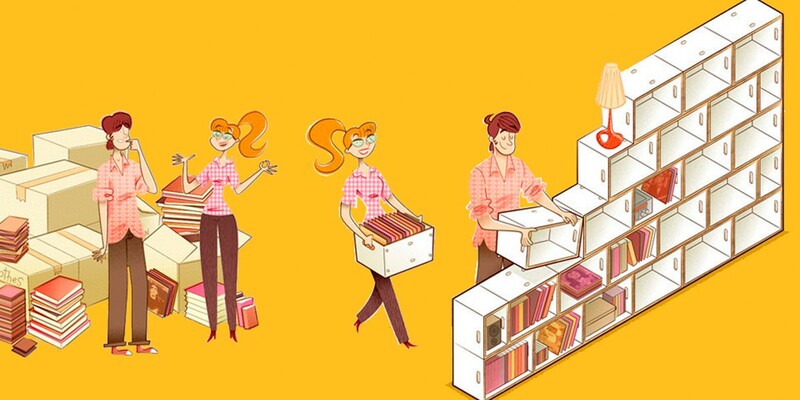 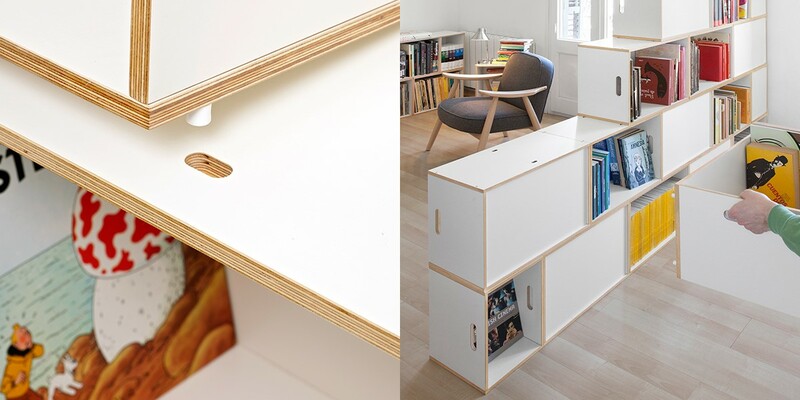 Design bookcase and shelves system made by pile up boxes for transport and storage of books, discs... for home and office. 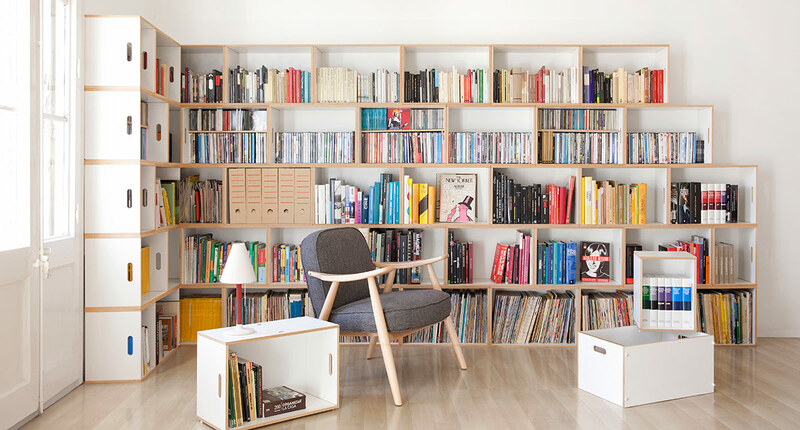 BrickBox is a patented modular storage system consisting of wooden boxes designed for transporting, storing and collecting culture: books, films and records. 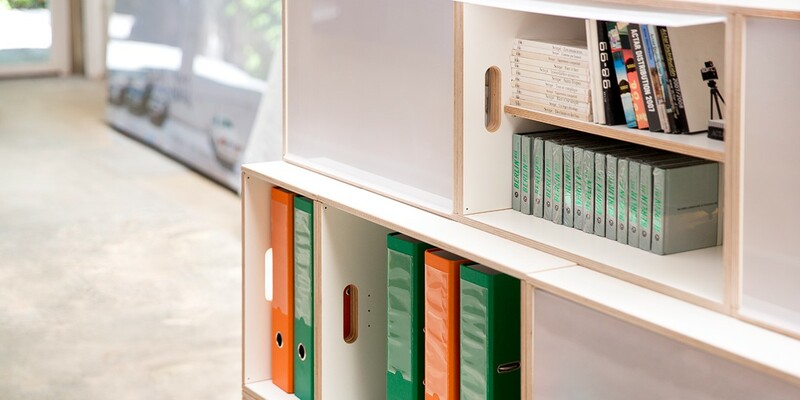 The modules can be joined together with no need for screws, and can form a wide range of structures: from a low cupboard to a huge set of bookshelves, including shelving screwed to the wall, cupboards, display cases, sideboards, bookshelves, bookcases or separators for demarcating different areas in the room. .
Click here to see our list of distributors to buy from other countries.